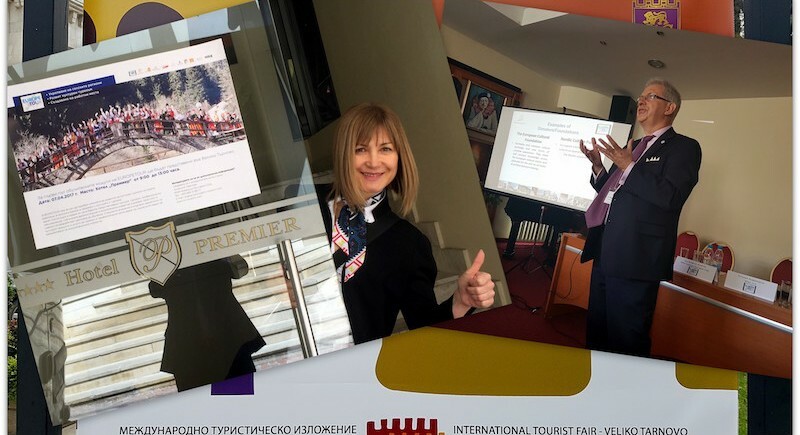 The city of Veliko Tarnovo, a hotbed for cultural traditions & crafts production in north central Bulgaria, hosted a training session as part of the International Tourism Fair “Cultural Tourism”. This event proved to be a great success: Representatives from municipalities, art organisations and tourism agencies showed a lot of interest in the presentations of EUROPETOUR partners Karin Drda-Kühn, Angela Ivanova, Lacramioara Beilic and Wolfgang Kniejski. After an introduction about the vision of EUROPETOUR by Karin Drda-Kühn (Kultur und Arbeit e.V., Germany), Angela Ivanova (INI-Novation Bulgaria) presented the EUROPETOUR training modules and one of the main topics of interest for the Bulgarian tourism stakeholders: Positioning, branding, marketing of cultural tourism in rural areas and the importance of networking. Her presentation was built on so called case-based learning: By providing a best practice example surrounded by theoretical knowledge and practical exercises, a better understanding about the specifics of the topic was achieved. Please refer to the entire collection of presentations on SlideShare here. As a special part of the seminar, a contest was held at the end of the Multiplier event. The topic of the contest was concepts for cultural tourism in rural areas. A special form for participation, called “IDEA CHALLENGE FORM”, was sent out to all the invited stakeholders as part of the invitation. INI-Novation Bulgaria invited an external specialist to be part of the jury. The best idea concepts were awarded by INI-Novation Bulgaria at the end of the seminar and were presented by their creators. The participants understood these examples as strong encouragement for their own activities. 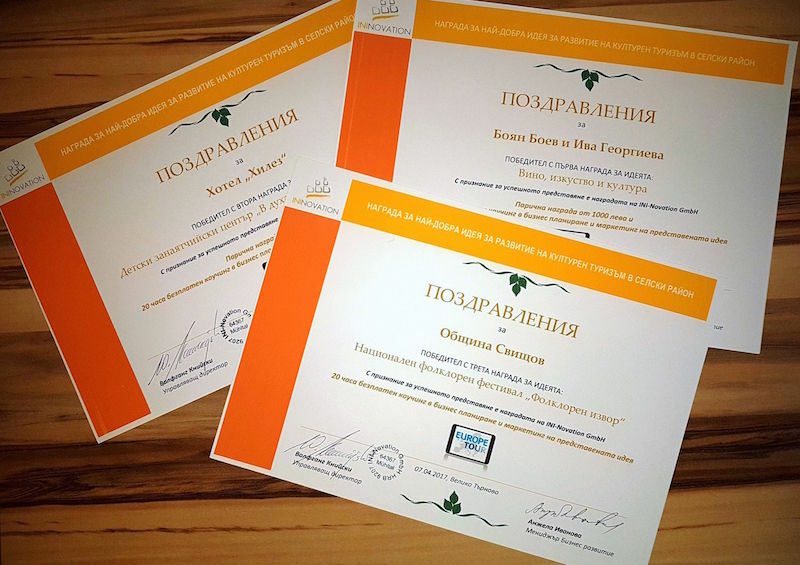 With special feedback forms prepared by INI Novation Bulgaria, the participants evaluated the Multiplier event as very successful and useful for them. According to them, the most useful topics were the practical aspects of market positioning, sharing good practices in tourism, branding, planning and cooperation for development, as well as financing opportunities. 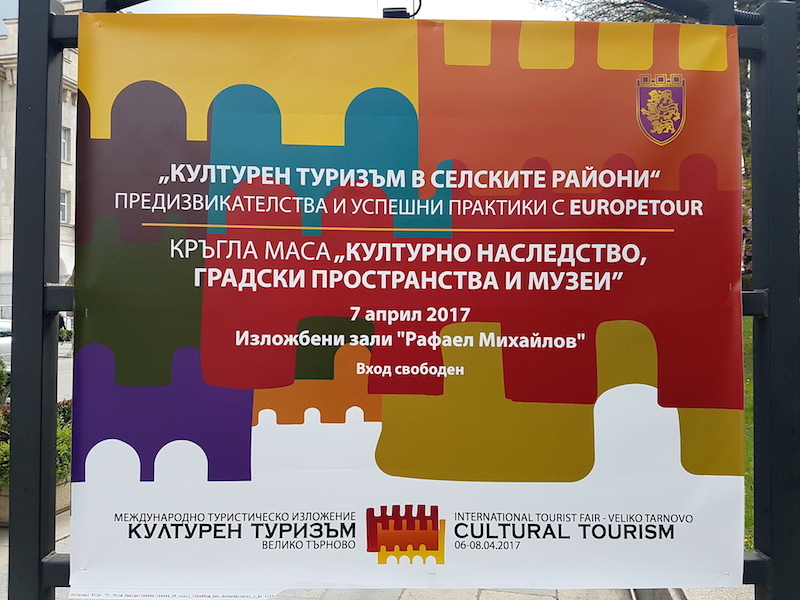 Participants in the seminar were stakeholders from different areas: small museums, small municipality mayors, creative artists, craftspeople, small manufacturers, tourist specialists in municipal agencies, public administration specialists. In total, in the seminar provided space for 41 participants. Different types of stakeholders submitted project ideas within the competition, ranging from young entrepreneurs, to hotels, museums, and municipalities. 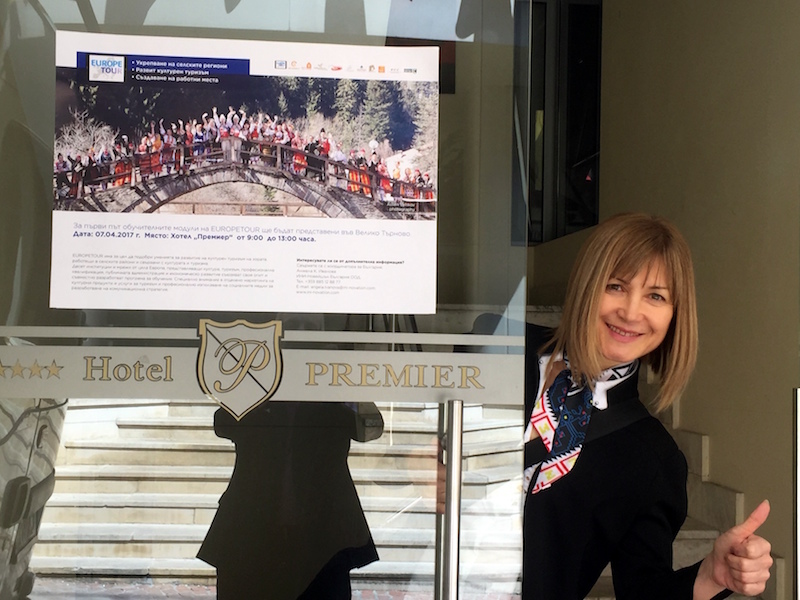 Many Bulgarian stakeholders – municipalities, hotels, NGOs and entrepreneurs in tourism, expressed their interest in following up on the seminar with more detailed seminars on the same topics in their regions, coaching and consulting on the topics. Another group of stakeholders, mainly municipalities, also expressed their interest of collaboration in the future. An on-line academy even offered to conduct paid on-line training with selected training modules based on EUROPETOUR program.